American army staffers organize stacks of captured German documents. 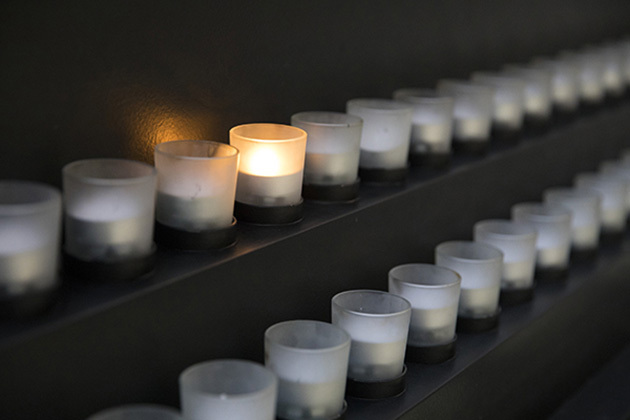 The United States Holocaust Memorial Museum collects Holocaust-related materials in all formats, including original documents, photographs, film footage, music, and oral histories, as well as published materials such as books, periodicals, documentaries, and other resources. While selected items from the collection are available online, the vast majority of these items are only available for use onsite at the Museum. 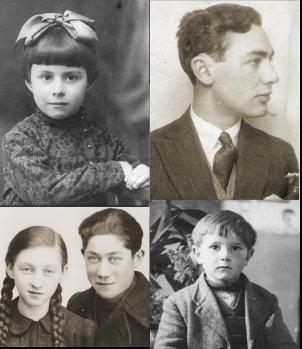 Examples of useful primary sources for learning about the Holocaust include diaries, letters, concentration camp records, or other documents created by victims, survivors, or perpetrators before, during, or after World War II. Primary sources can also include photographs, film footage, and newspaper and magazine articles created at that time. Memoirs and oral history interviews of survivors, liberators, or other eyewitnesses are also considered primary sources, but because these documents were usually created well after the event they may be viewed with skepticism by some researchers. For research purposes, nonfiction books and encyclopedias are considered to be secondary sources because they are generally created by individuals not present at the time of an actual event, although secondary sources are usually based on primary source materials. Copies of key primary sources related to the history of the Holocaust have been reproduced in published compilations, as appendices in secondary sources, or are available on the World Wide Web. Some publications present reproductions of original documents in their original language, while others present English translations alongside or instead of the original language. Annotations are provided to help the user determine the item’s focus, and call numbers for the Museum’s Library are given in parentheses following each citation. Languages included in each collection are also listed after the annotation. Those unable to visit might be able to find these works in a nearby public library or acquire them through interlibrary loan. Follow the “Find in a library near you” link in each citation and enter your zip code at the Open WorldCat search screen. The results of that search indicate all libraries in your area that own that particular title. Talk to your local librarian for assistance. Collection of documents in translation and images covering the collapse of the Weimar Republic and Hitler’s rise to power, World War II, and the Holocaust. Includes suggestions for further research and an index. Punishing the Perpetrators of the Holocaust: The Ohlendorf and Von Weizsaecker cases. Reproduces 894 photographs drawn from the holdings of Photo Archive of the Prussian Cultural Trust in Berlin. Presented in 18 topical chapters, including Nazi propaganda images, photos from the concentration camps, pictures from countries under German occupation, and postwar trials. Includes a summary listing of the photographs. Volume 1 of the Archives of the Holocaust series. Collection of key primary source documents tracing the political and social history of Nazi Germany, from the origins of National Socialism in the years after World War I through the establishment of the Third Reich and the Holocaust. Includes English translations of speeches, letters, newspaper accounts, laws, and other important documents, as well as a chronology, glossary, maps, and a bibliography for further reading. Presents translations of over 75 letters, postcards, and other correspondence sent by prisoners in nine different Nazi concentration camps. Includes reproductions of many original handwritten pages alongside their translations. Includes an appendix listing the names of the prisoners who wrote the letters and the addressees, along with the date of each letter. Interactive Web site documenting the work of the American Jewish Committee (AJC), including efforts to assist Jewish refugees fleeing Europe during World War II. Presents timelines, recordings of AJC radio broadcasts, historic films, television programs, and oral histories. Also includes the complete text of the American Jewish Year Books published after 1899. A project of Yale Law School. Makes available in electronic format documents from the Nuremberg War Crimes trials. Provides full-text access to the multivolume sets of the Nuremberg trial proceedings and transcripts originally published by the International Military Tribunal. Includes translations of many important Holocaust-related documents, such as the Stroop Report, the Warsaw Protocol, and the Night and Fog Decree. Collects reproductions and translations of propaganda materials created in Nazi Germany and the German Democratic Republic. Includes examples of antisemitic broadsides and cartoons, speeches by various Nazi leaders, and visual materials that promoted the National Socialist agenda. Created by a member of the faculty of Calvin College in Grand Rapids, Michigan. Online collection of electronic resources on the Holocaust and Holocaust denial and revisionism. Includes the reproduction of numerous primary source materials, detailed information on Nazi documents, and evidence presented at the Nuremberg Trials as a means of refuting Holocaust deniers and revisionists. Annotated bibliography featuring dozens of published diaries written before the war, in the ghettos, in hiding, and elsewhere under Nazi persecution. Includes references to secondary sources with information about Holocaust-related diaries. Provides access to approximately 15,000 of the nearly 100,000 images in the Museum’s Photo Archives. Presents footage drawn from the holdings of the Film and Video Archives, including film of the liberation of concentration camps, war crimes trials, Kristallnacht, the St. Louis, and Nazi speeches and propaganda.